You've just signed the purchase contract on your new home. You're excited about getting into your new place and making it your own. I know! I've been in your shoes many times over the years. Unfortunately, just because you signed the purchase contract it doesn't mean you'll have smooth sailing through your closing. There could be some choppy seas to navigate before you get to your destination. The Home Inspection period is the first of these to get through and 10 days will fly by. So, from an insurance perspective I've put together my 7 Home Insurance Tasks to Complete While in Your Home Inspection Period to help you get to your home closing on time and with as little trepidation as possible. Follow these 7 tasks and it will be smooth sailing! 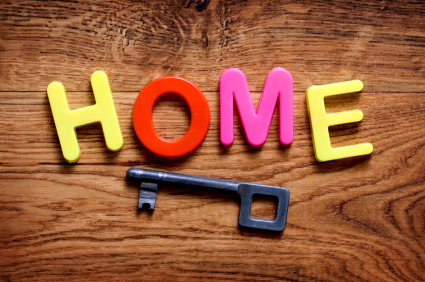 It’s important to begin securing your insurance for your new home early in the process not later. You'll want to discover any issues which may increase your premium or impact qualification for insurance as early as possible so you can address them promptly. Preferably, contact an Independent Agent (see my video(2 min.) on Why you should choose an Independent Agent here) who'll do the shopping for you among many top insurance carriers. They’ll know which companies have favorable underwriting and pricing for your individual situation. Yes, there are two CLUE reports. You should request the seller’s CLUE report, but more importantly, when working with your insurance professional you’ll need to review YOUR report. Your agent will get information on the SUBJECT (that’s you) and the RISK (that’s the property you’re buying). Your past claims matter, and could impact your potential rate or even qualification so this is a must do task during the inspection period. More about the CLUE Report here. This may seem like a strange request but it’s important to do. Many insurance companies will complete a “Drive-by” home inspection (at a minimum) and if the inspector sees branches hanging on the roof many insurance companies will send a notice of cancellation of the insurance policy if the problem isn’t rectified. Don’t go through this needless stress, address the problem early. Many more insurance carriers are requesting this report today to grant Home Buyer discounts and or to verify the current condition of the home. In the past, I’ve used this report to gain approval from an insurance company underwriter when there was a major fire at a property to be insured. Your insurance professional should be reviewing this report with you from an insurance perspective; 99% of agents don’t. How would you like to get your home insurance paid for by the savings that bundling your auto insurance brings? I’ve witnessed this many times. Unless you’re closing your home purchase in 10 days or less you have plenty of time to work with your agent to find the best package policy and price for your situation. Often times there can be hundreds of dollars saved annually by bundling so; Don’t leave any money on the table! Resist the urge to have your documents mailed to you. If the agent you choose only wants to mail your application to you for signatures then you've picked the wrong agent or company. After all, your home purchase is probably the single most expensive asset you've ever purchased so why would you want your agent to “Mail it In”. The right professional agent will make the time to meet with you; don’t waste this opportunity to have a detailed review of the insurance that may someday be needed after a damaging peril.